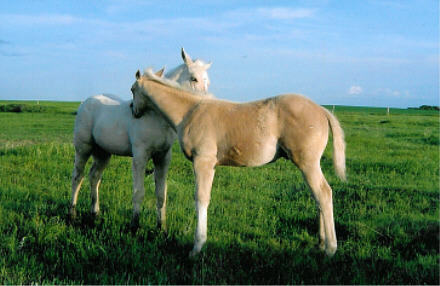 Two delightful palomino foals of palomino stallion Cook N Oak (see previous photo). Notice the difference in shade. Thankyou to Dale and Carol Haight for allowing me to display this photo.